In case you missed it, Facebook and Snapchat are competing in the race to be the #1 Social Network App based on video and VR - with tons of new masks, frames, and filters. Businesses have the opportunity to access new and cool ways of promoting their products and brands. In the case of mobile games, what’s better than engaging with your players by telling them the story of your game? These Ads will appear between stories from the people you follow. According to Instagram, over 250 million people are using stories daily, so that sounds like a great audience to target. Starting from mid-June 2017, Instagram Stories became available to everyone under the Mobile App Install goal (with the ability to optimize towards any event tracked in your game). The format is full-screen vertical (video or still image) and advertisers can add filters, text overlays, and drawings (click here for Facebook’s full Ad specifications). 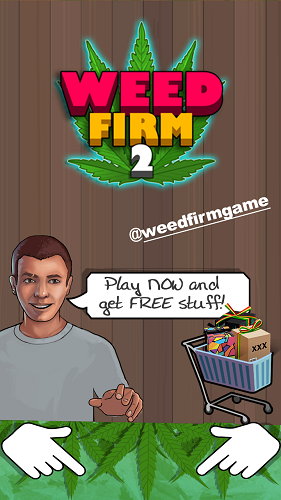 Ads will disappear, you have one chance to engage with your players! Instagram’s Business Manager is really Facebook’s Business Manager, so you need to create an account and the campaigns through the Facebook Business Manager platform. As these ads are still quite new to Instagram users, include a strong call-to-action, so the ad doesn’t get lost between friends’ stories (even though the content is labeled as “Sponsored” as with other Instagram ad formats). Test both videos (3-5 seconds) and still images to see which one performs best. Remember that Instagram Stories are counted as video views (whether you used video or still images) so you can use Video View audiences for retargeting on both Instagram and Facebook. Here are some examples of Instagram Stories produced by Thumbspire. These Ads will be shown in between Snap stories, and the format is quite similar to Instagram Stories. You can check the Ad specifications here. 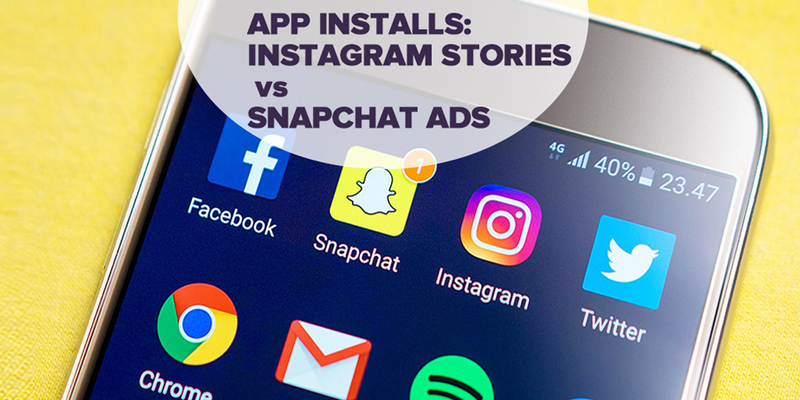 Mobile App Install goals were launched in early 2017 but were only available to larger companies and Snapchat’s Marketing Partners. Now, it’s open to everyone, but you need to register through their website to access their platform. If we dig into Snapchat’s numbers, there are 166 Million active users with an average of 18 daily sessions per user. Snapchat's platform is especially interesting for mobile games because of its younger audience (certainly in comparison to Facebook). Also, Snap Ads have been launched only very recently, which makes the network less crowded (keep in mind both platforms are based on an auction model). The platform doesn’t allow still images so you might need to create video stories or GIF-like mp4s. The guidelines are more restrictive: arrows or graphic elements pointing to Snap Ads’ call to action (Swipe Up, Install Now, etc.) are not allowed. You’ll need to apply a bold call-to-action paired with eye-catching content. As it’s a brand new platform, test different audiences and bidding models. The Audience options not only offer Custom Audiences, Lookalike, and Snap Lifestyle Categories (interests), but they have also partnered with data companies which provide audience segments based on purchases or content views (find out more about this here). So...which one should we use? I guess by now you’re as excited as we were when we first got access to these new features. You might also be wondering if both apps might have overlapping audiences and if it makes sense to test them both. Based on an AppAnnie’s study posted last month about Snapchat users in the US and UK (No Snapchat Strategy? It's Time to Rethink Your Plan) there is room to run campaigns on both platforms without the risk of the audiences overlapping. According to their analysis, Snapchat has a unique and “exclusive” audience that prefers using their platform over Facebook's apps on a daily basis. If we look to the US (Q4 2017), 35% of Snapchat daily users can’t be reached on Facebook, and 46% of them can’t be reached on Instagram. So with this data in mind, it’s worth giving it a try, right? Well, maybe. Both have pros and cons. On the one hand, Facebook’s advertising tool is highly evolved with a larger number of capabilities in terms of audiences, bidding, event optimization, and campaign management rules. On the other hand, Snapchat has great audience segmentation features and little competition from other advertisers - for now. Also, Snapchat audiences seem to be both younger and heavy mobile users, which makes them the perfect audience for mobile games. If you’re not sure on how to start promoting your game on any of these, or other social paid options, you can reach out to us, and we’ll be more than happy to help you out! You can also follow Thumbspire’s stories on Instagram or Snapchat! Older PostMaximizing Monetization: What Motivates Freemium Players?